This competition caliper represents the latest refinements in caliper design and manufacturing through the use of computer based FEA solid modeling and stress simulation programs. 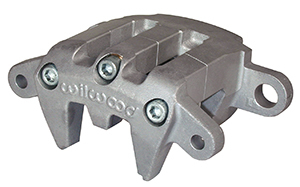 The real strength of this caliper comes from its triple bridge configuration, and its lightness is a result of efficient design. The triple bridge provides higher clamping efficiency through lower deflection over all twin bridge models. All load bearing and stress points are fortified to maximize strength, and all unnecessary material is removed to maximize weight reduction. 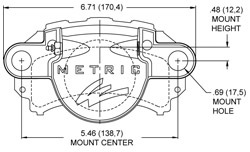 The results are the strongest, lightest, and most efficient aluminum caliper in its class. The caliper body is a precision casting using a tight grained, high density aircraft alloy. Stainless steel pistons provide improved fluid protection with high resistance to corrosion and low heat transfer. 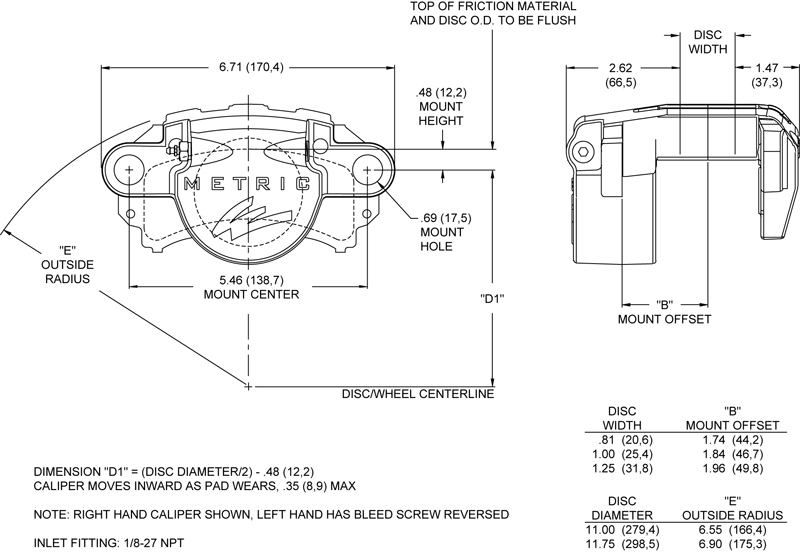 Each caliper is fully machined, assembled with high temperature seals, and tested in-house.